So far Haramain has created 232 blog entries. GLOBAL VILLAGE MEDIA AWARDS Winners of the Global Village Media Awards (2012-13), with Saeed Ali bin Redha, CEO of Global Village, and Laila Mohammed Suhail, CEO of Dubai Events and Promotions Establishment. — Khaleej Times photo by Mukesh Kamal, filed on April 4, 2013. 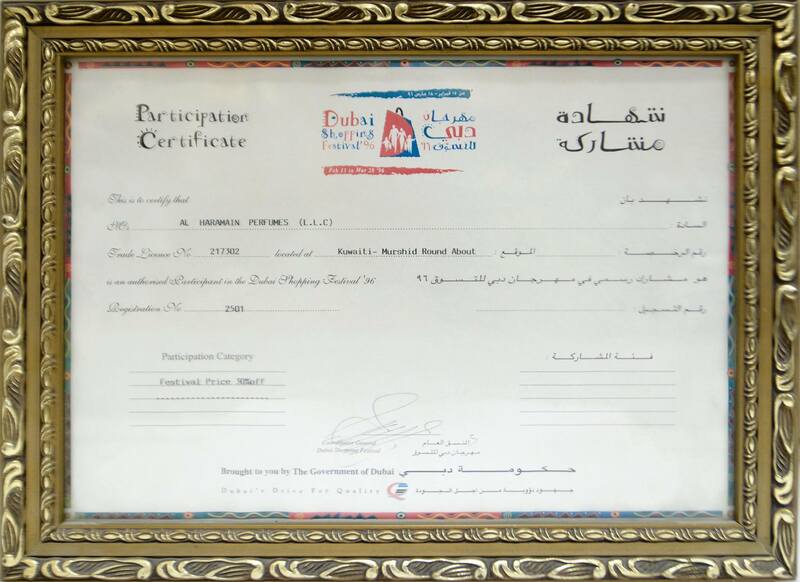 Al Haramain Perfumes was awarded this Certificate of Appreciation by the Dubai Municipality for its faithful efforts and active participatio and continued cooperation & sponsorship of the 'Childrens City' during the Dubai Shopping Festival and Dubai Summer Surprises, 2005. 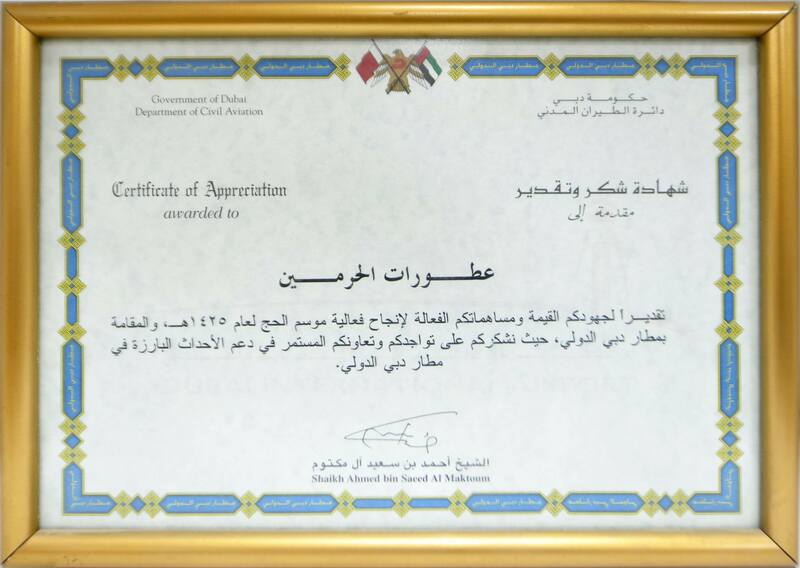 Al Haramain Perfumes was awarded this Certificate of Appreciation in recognition of its active participation and contribution to the success of the 10th Fashion & Perfumes Exhibition held at the Qatar International Exhibition Center during the period of 02 to 08 December, 1995.